There’s a common misconception that El Nido, being pristine and uncrowded, is an isolated island of Palawan. But the truth is, this so-called “Heaven on Earth” (a nickname it has claimed since the 2000s), comprises 45 islands and islets, many of which are uninhabited. 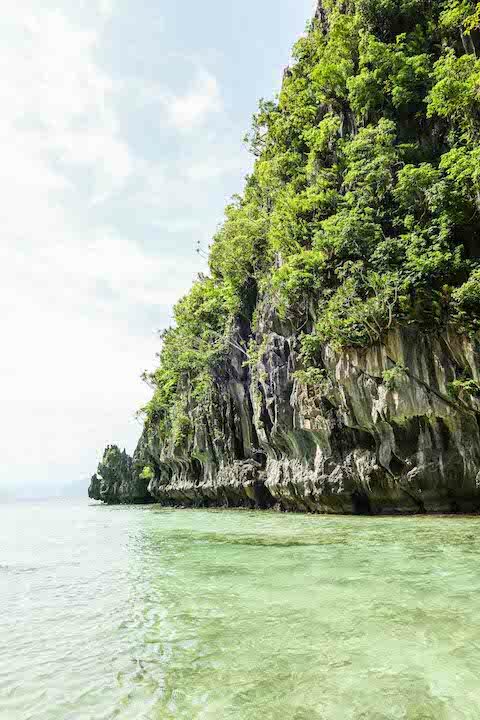 Located at the northernmost end of Palawan, El Nido is popular for its limestone formations and crystal blue waters. It is also a managed resource protected area, covering “36,000 hectares of land and 54,000 hectares of marine waters,” as noted by the United Nations Educational, Scientific, and Cultural Organization (UNESCO). 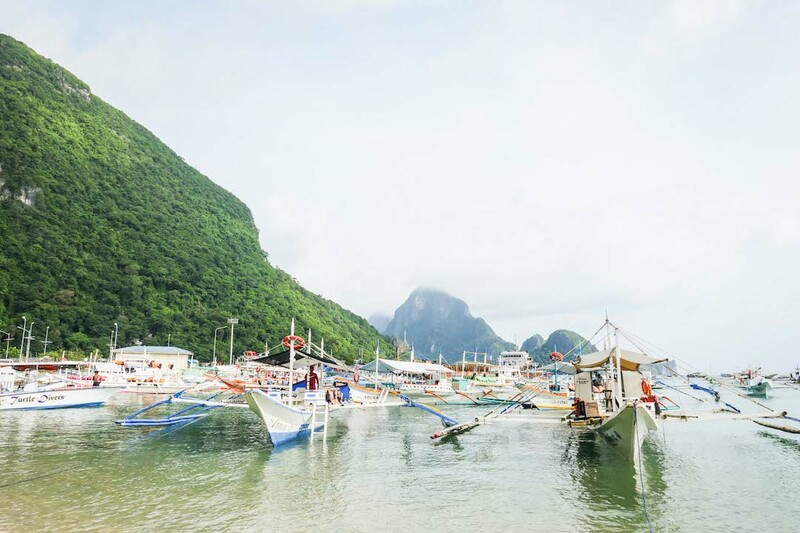 Aside from beaches and limestone cliffs, El Nido also has mangroves, forests, and farmlands. The municipality is also a growing ecotourism spot, with a number of new hotels and establishments, as well as an airport. If you plan to visit the 2017 Conde Nast Traveler Readers’ Choice Awards 4th best beach in the world, here’s what you need to know. This boutique hotel along the Taytay-El Nido Highway takes pride in its location, first as it is located right across one of El Nido’s famous limestone cliffs, Taraw—giving guests a unique window view. It is also walking distance from the poblacion from where you can catch the boats for island hopping. 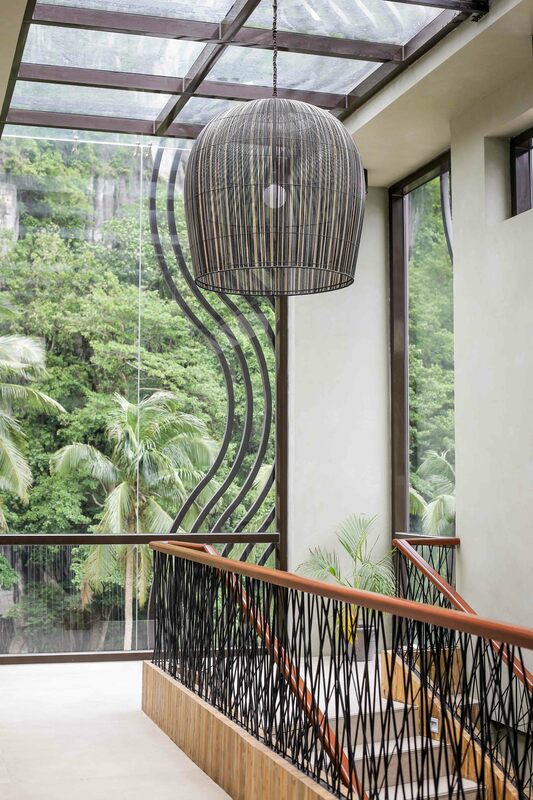 The hotel features design elements reminiscent of the different sights and cultural aspects of Palawan, from the banig weaves adorning the hallway walls, to the light fixtures and furniture reminiscent of nests (El Nido being home to swiftlets, the nests of which are used to make the popular nido soup). 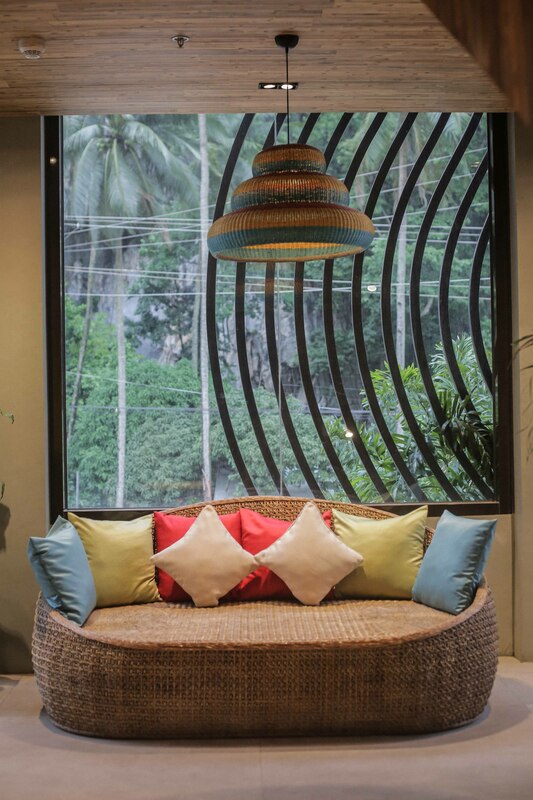 Even the colors used throughout the hotel take inspiration from the place, as yellow and turquoise are colors of the Palawan peacock. Housing 37 rooms, accommodations at Lagun range from P8,000 to P15,000 a night. They also have a Filipino restaurant within the hotel, called Habi. Ipil Suites is a lodge good for people who’d like to really immerse in El Nido town’s lifestyle. Located at the center of town, it houses 24 rooms and also offers the standard island tours. Standard rooms cost P2,200, while family rooms (for four people) cost P4,000 on off season (June to October). 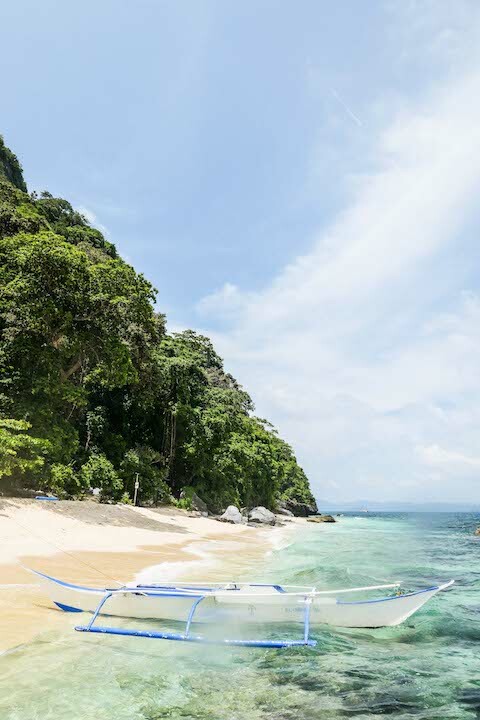 The private resort island can be rented out for P25,000 a night on off season, and up to P35,000 on peak season. 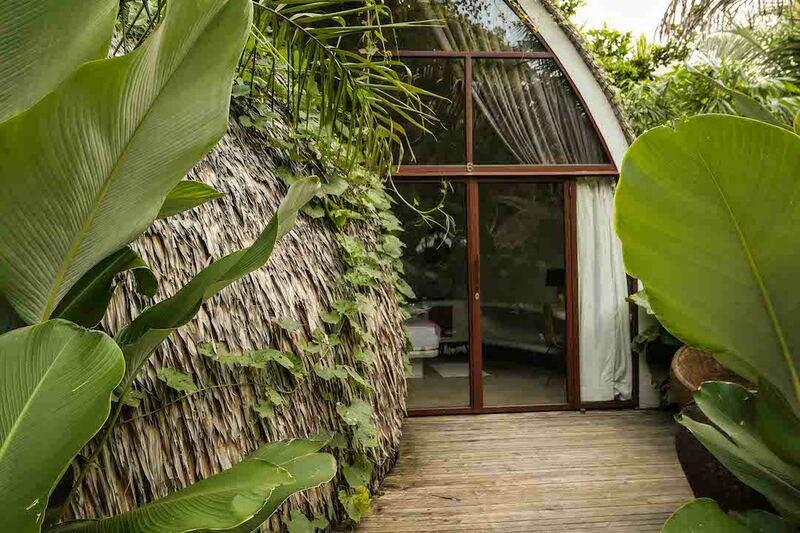 Panorama is another unique hotel, in that the rooms are hut-like with thatched roofs, and all paths around the property are lined by large-leafed tropical plants. At the center of the property are the pool and poolside bar, while at the farther end is a sunset bar. Accommodations range from P9,000 to P18,000 but are only open for adults. Named after the flower (also known as the kalachuchi), Frangipani is another popular boutique hotel located along the Corong-Corong beachfront. Two types of rooms are available: the suite, which can accommodate a maximum of three adults and one child (P10,000 to P12,500 per night), and the one bedroom suite which can accommodate a maximum of five adults and one child (P20,000 a night). For accommodations that are a little more directly in touch with nature, there’s glamping at The Birdhouse. 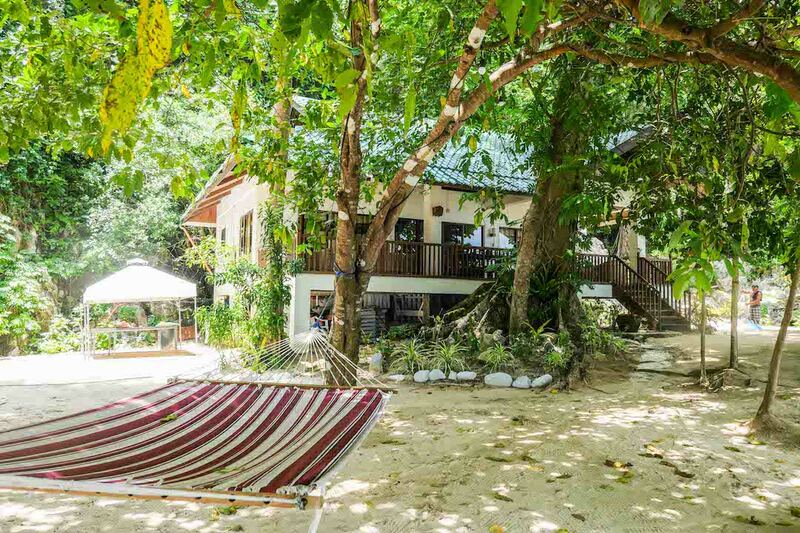 Located a few minutes away from one of El Nido’s most popular beaches, Maremegmeg Beach, The Birdhouse has five “nests” which can comfortably house four people. Each nest has two single beds and one queen size bed, a private bathroom, and lounging area. Rates range from P6,000 to P8,000 a night. 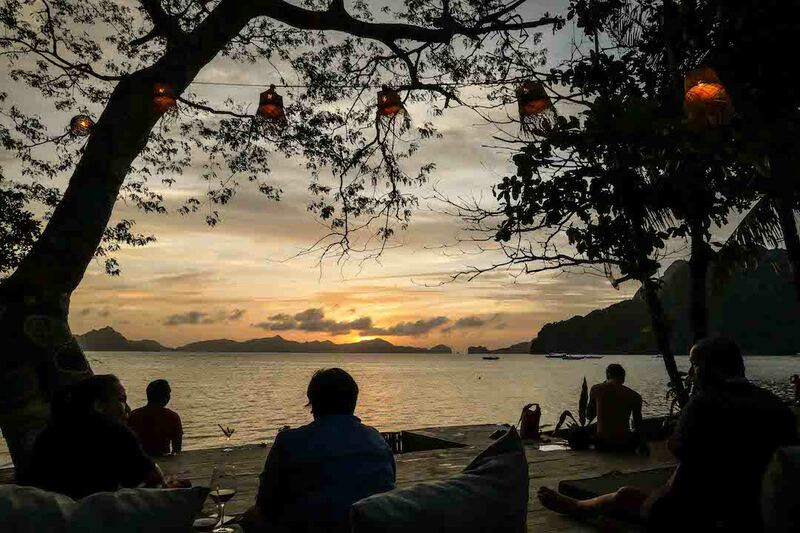 El Nido has a growing sunset culture, where people would go out at sunset to hang out. 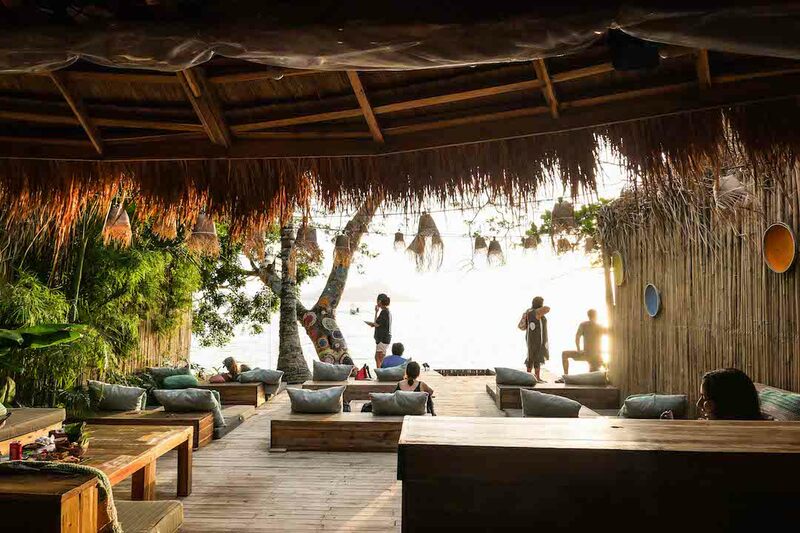 There are a couple of beachfront bars that have become popular sunset spots, such as at Panorama and Frangipani. 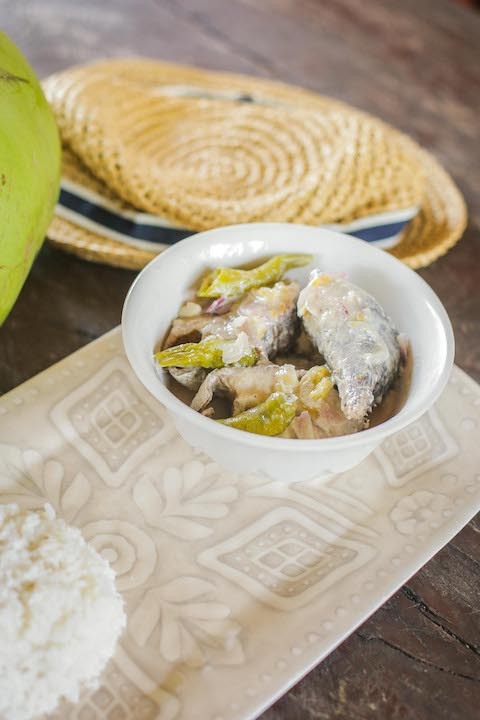 With Ilonggo being one of the commonly spoken dialects in El Nido, it comes as no surprise that Ilonggo cuisine would also make it as one of the must-tries. 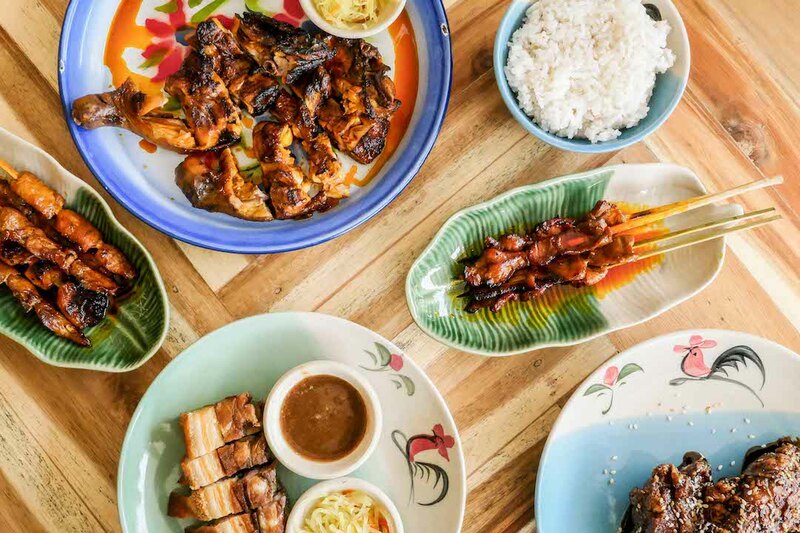 Tambok’s is a Filipino restaurant that serves hearty, Iloilo-style recipes that are both familiar but also unique. Try their veggie okoy, a “healthier” if you will, version of okoy that’s made of papaya, spring onions, and squash. The okoy is served with sweet and spicy onion sauce, but spicy vinegar makes a better pairing. They also have pancit buko, which as the name suggests, uses coconut meat as noodles. Also try the sisig burger, which has sunny side up egg, atchara, tomato, cheese, pork, cucumber, and aioli sandwiched between buns grilled with atsuete oil. 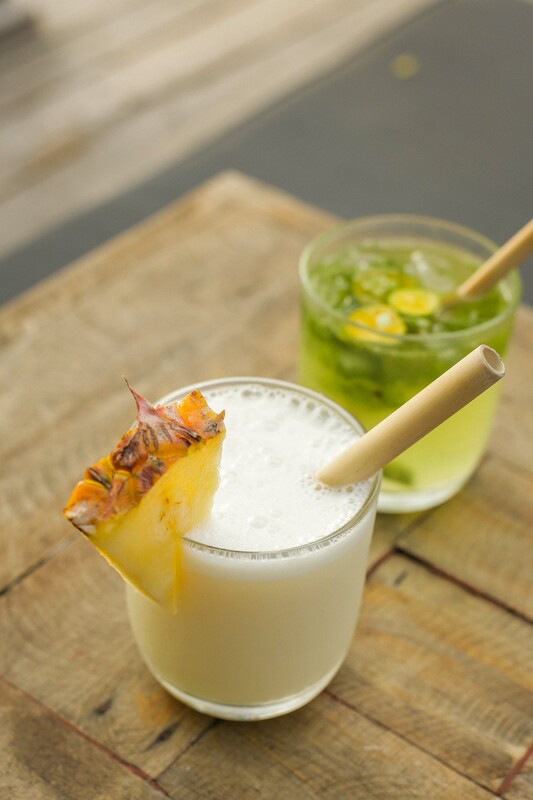 Named after Destileria Limtuaco’s famous liqueur, the Manille Beach Bar is a tropical cocktail bar located at the new Lio Tourism Estate created by Ayala Land. The bar features drinks using spirits by Destileria Limtuaco. 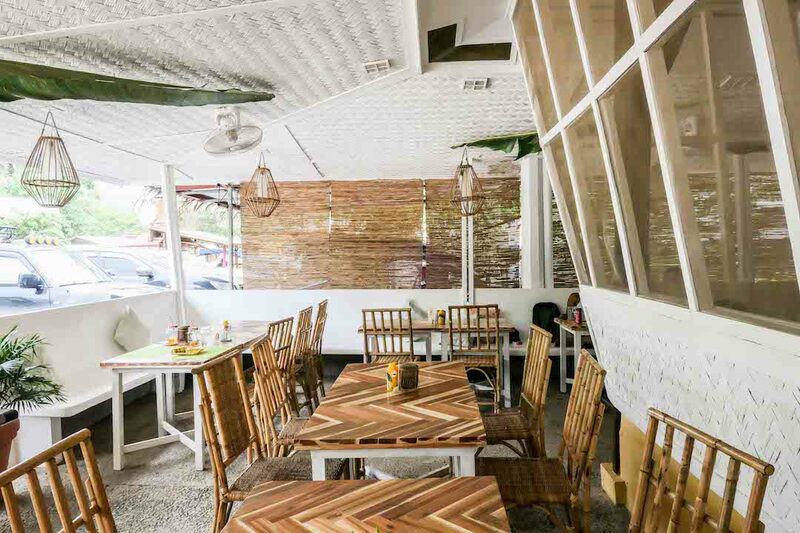 No visit to El Nido would be complete without eating at Altrove, which may just be one of the most popular dining spots in the area. It has been running in El Nido for seven years now, and they recently just opened a second El Nido branch at Pops District. Both branches still get really packed with guests, both locals and foreigners alike. 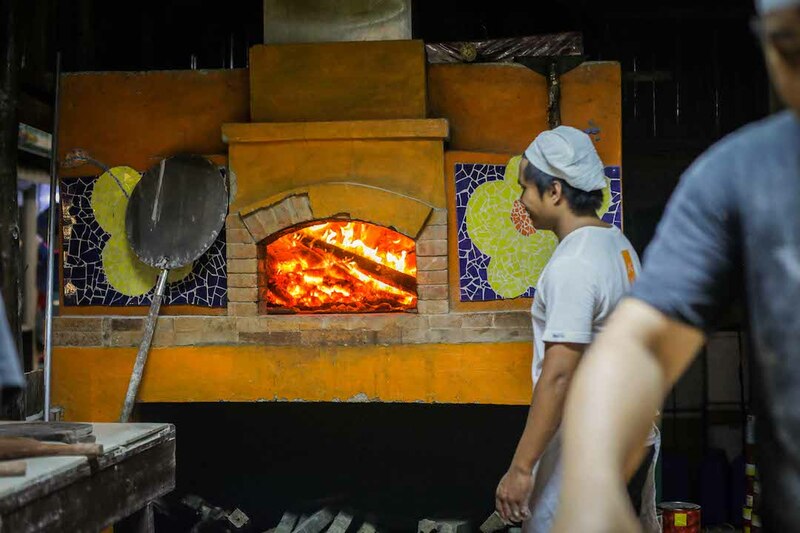 Altrove’s specialty is firewood brick oven pizza. This no-frills, lowkey spot along the farther end of Nacpan Beach knows how to make a truly satisfying post-swim meal. You may have to wait a while for your food, so it’s recommended that you place your order before heading to the shore. The one hour wait is well worth it though. Try the grilled pork, and pair it with refreshing juice straight from a whole buko. 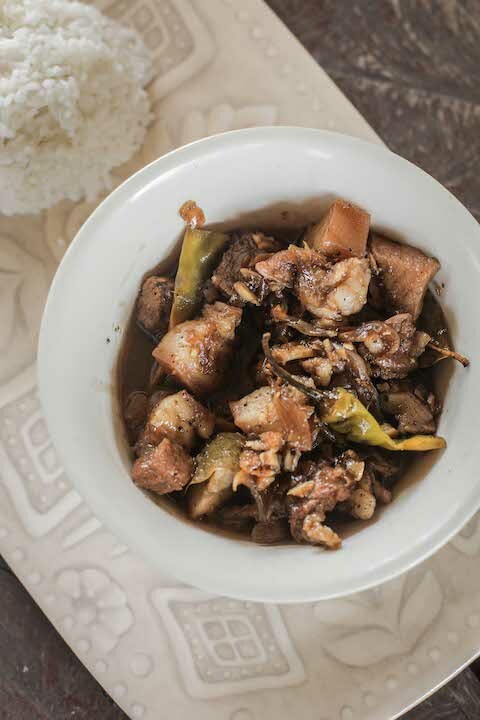 They also have pork adobo, which is a little on the sweeter side, but still equally good. You can also try ordering off the menu; ask if they have ginataang tulingan available. Thank us later. 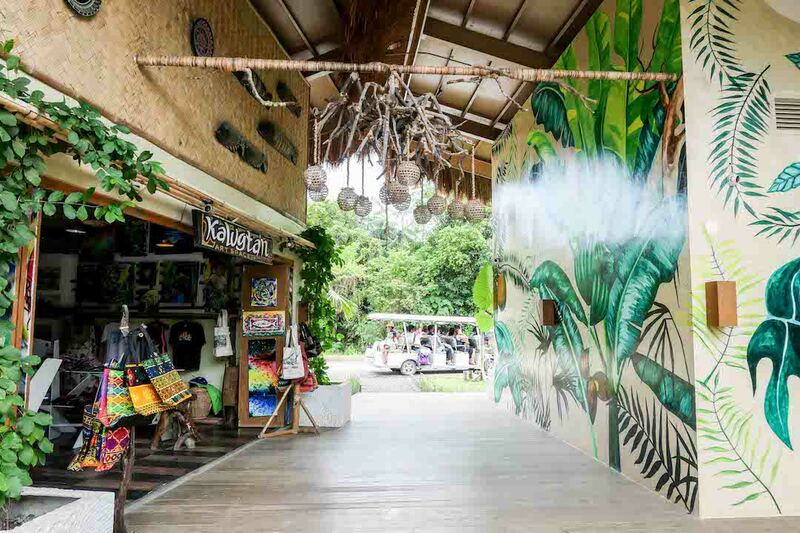 For something to take home that’s uniquely Palawan, Kalye Artisano in the Lio Tourism Estate houses a handful of shops featuring products made by local artisans. 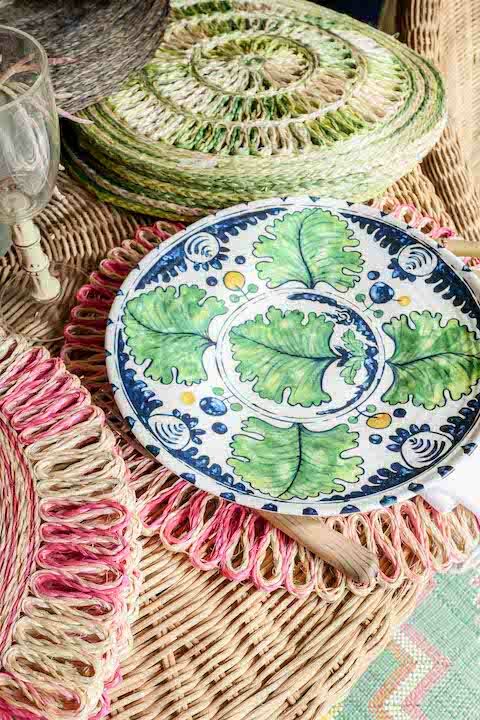 The products range from home accents to apparel, bags, and art pieces. If for some unfathomable reason, you don’t have any beach-appropriate clothes, there are a handful of options at Lio. Salt & Sun has a wide selection of swimsuits and beachwear, as well as shoes, sandals, bags, and accessories. Think Nothing But H2O, but in Palawan. This small store can easily go by unnoticed, but if you want to buy souvenirs that will directly benefit the locals, you can buy some here. For some healthy snacking, try their taro chips. Also be sure to grab their specialty: cashews. 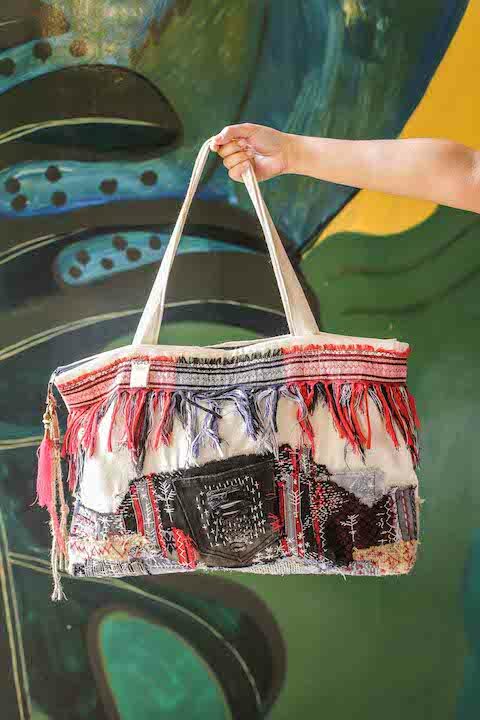 Located in the food and retail hub called Pops District, Lula Boutique is a small shop selling mostly clothes, accessories, and bags. The shop is owned and run by a Spanish expat who has been staying in El Nido for four years now. 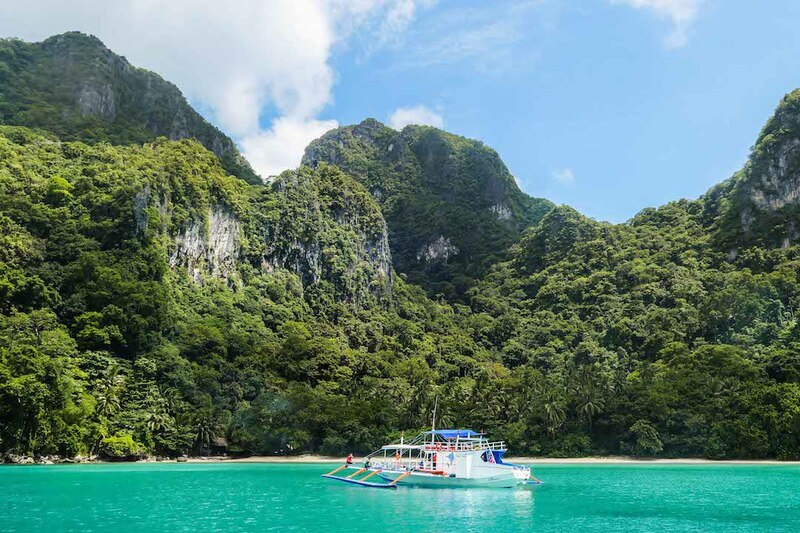 Probably the most popular and must-do activity in El Nido, there are four different island hopping tours available. 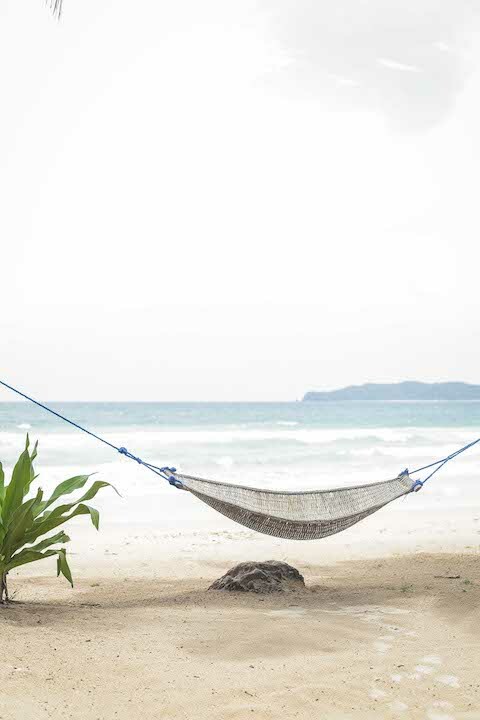 Most hotels in El Nido offer island hopping tours to guests. There are a number of interesting spots to visit within the El Nido town proper, especially restaurants. Drop by L’assiette along Serena St. for some French cuisine (and some really good ice cream) or Happiness Bar for some vegetarian Mediterranean food and cocktails. 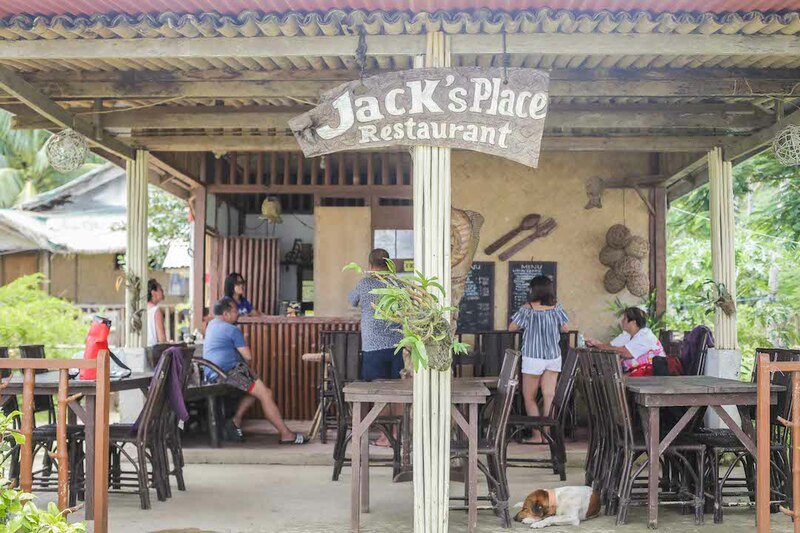 You can drop by these restaurants to wind down after your island hopping tours, as you’ll have to pass through the town proper to get to the docks. For those looking for a more “extreme” outdoor activity may also want to try hiking up Taraw Cliff, the iconic limestone peak overlooking El Nido town. The cliff is also home to the famous swiftlets of El Nido. Standing at 300 meters above sea level, Taraw Cliff is a short but tough hike thanks to its rocky terrain. For a less stressful hike (aka not having the sun mercilessly beating down on you as you climb up), go before sunrise. There are more than 20 dive sites scattered among El Nido’s islands. Different spots boast different underwater views, from rich corals to a variety of fish, stingrays, turtles, and other creatures. El Nido boatmen, aside from being knowledgeable about the different islands, may also be able to point you to some dive sites. Maremegmeg is another popular free beach. 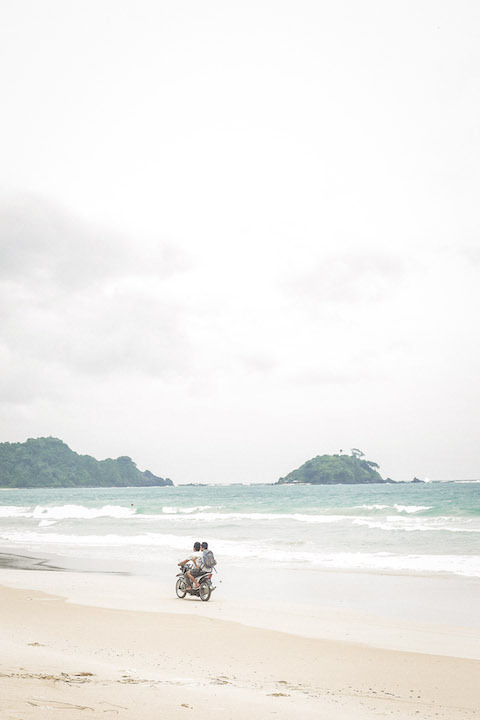 Around an hour away from the town proper is Duli Beach, a currently under the radar surf spot in El Nido. The road getting to Duli is a little rough, but the view and the waves are well worth the trouble. Off season for surfing is from May to July. The best time for surfing in El Nido, according to Duli Beach Surf’s Torno, is January. 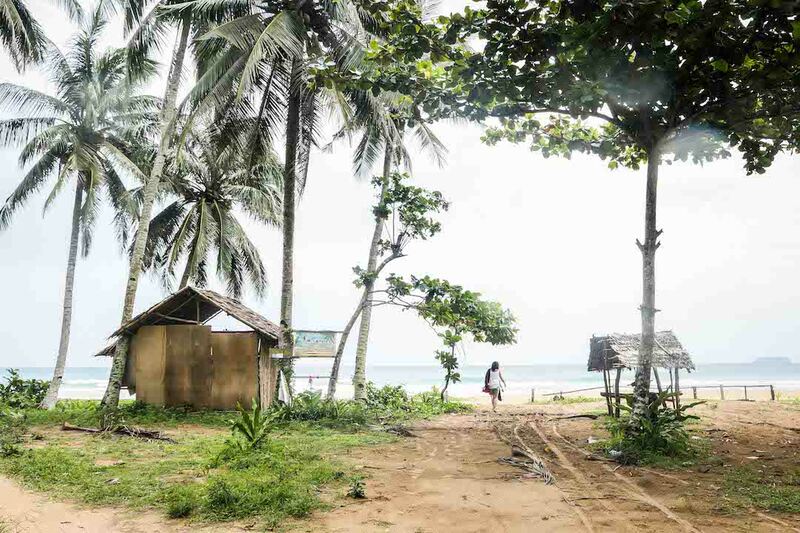 At the beach is Duli Beach Surf, run by Lloyd Legazpi, who also goes by the nickname Torno. Like many surfing enthusiasts, he started in La Union in 2008. He left his job in finance (which got him assigned to various countries) to settle back in the country with his family. Aside from surfing (he rents boards for P400 per hour), he also serves up a variety of dishes (made by his wife), such as mee goreng, carbonara, roasted chicken, salted egg shrimps, and crabs for around P250 per dish. Fly to Coron. From Coron, take a ferry. The regular/slow ferry (around P1,400 per person, plus P20 harbor tax) takes eight hours; the fast ferry via Montenegro Ferry (P1,760 per person) takes three and a half to four hours; the passenger cargo (P1,150 for air-conditioned seats) takes eight hours. Fly to Puerto Princesa. 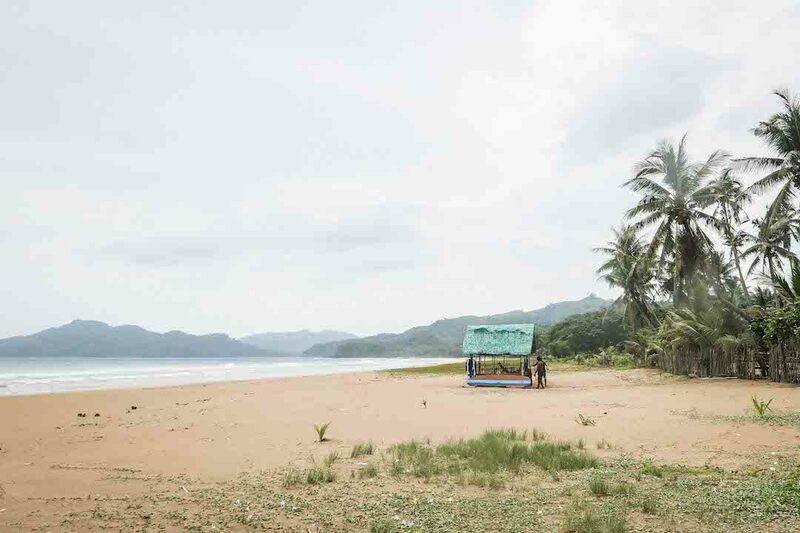 From Puerto Princesa, you can take a five-hour bus ride to El Nido.